Elders stocks leading agricultural chemical products for controlling weeds, pests and plant disease, as well as products to enhance yields and improve their quality. We can provide your farm with an extensive range of products from the world’s leading agricultural chemical companies. We stock products designed to ensure your crop or pasture reaches its full potential, as well as maximise your crop productivity with the latest varieties of wheat, barley, canola, and pasture seeds. We also supply a range of high quality fertiliser and nutrition solutions to support all farming enterprises, including fertilisers for cotton, rice, horticulture, viticulture, pasture, vegetables, forestry, and fruit and tree crops and for broadacre cropping in winter and summer. Our dedicated team of potato specialists supports the importation and development of new potato varieties, manages seed production, and provides solutions to the potato industry, particularly Australian potato growers. 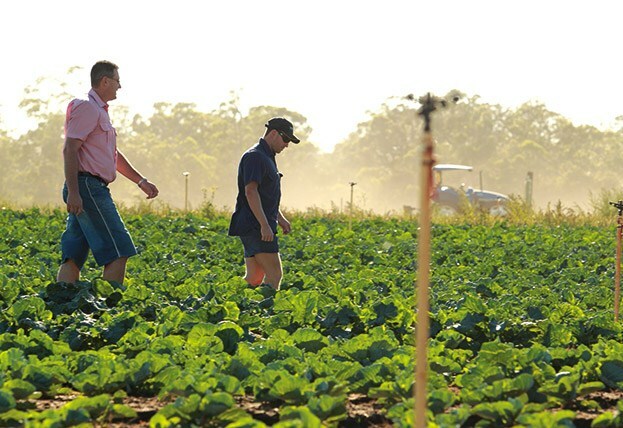 Enhance your crop and yield by using expert advice about the application of agricultural chemical products from our network of agronomists across Australia. We work closely with market-leading suppliers who invest in continuous Research & Development (R&D) to provide the latest technology to the market. Elders agronomists test these products and their application to local farming systems at Elders Technology sites and demonstrations across Australia. The results from trials will ensure that your farm will be able to utilise these new technologies to improve yield quality and quantity. Elders proudly distributes products from key manufacturers and formulators that undertake continuous R&D to ensure high quality sustainable products that meet Australian safety standards. 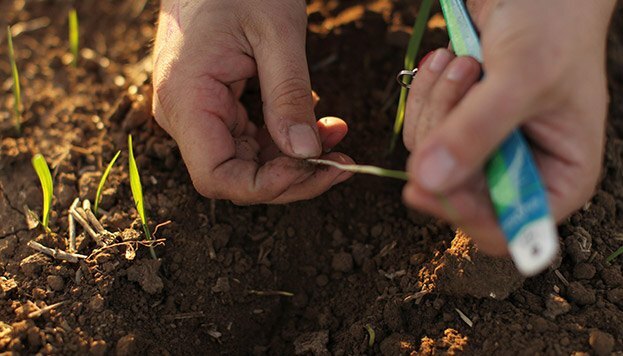 Our Key Suppliers include ADAMA, Agnova, BASF, Bayer, Corteva, FMC, Kenso, Nufarm, Sipcam, Sumitomo, Syngenta,, SST, UPL, Victorian Chemicals, as well as Titan Ag – which is now a 100% owned subsidiary of Elders. It’s important to consider all options available when choosing a seed source. It’s common practice to retain seeds from harvest, storing and reusing them for the following year. To help your farm achieve the best results, Elders recommend you freshen up your seeds for harvest by introducing a percentage of new seeds each year from a reputable supplier. This ensures the seed quality, purity, genetic potential, and marketability are all retained. There are many exciting new varieties of seeds to bring onto your farm. Demand is usually high for all new promising varieties, leading to pressure on seed suppliers. For this reason, it’s important to order new seeds as early as possible, and guarantee your seed requirements will be met. Elders are stockists of CSBP fertiliser, exclusively in Western Australia.